Zeigler Auto Group’s mission is to provide its customers with the ultimate automotive experience, and its vision is to be the number one choice for automotive sales and service needs. Aaron Zeigler’s team has five core values, which spell out PRIDE: Passion, Reputation, Integrity, Drive, and Execution. When Zeigler buys a business, he builds an entirely new facility. Zeigler Auto Group businesses have a children’s play area, Nintendo Wii games, and fresh-baked cookies. Customers in the service area are given iPads uploaded with Netflix to watch whatever they want. Zeigler views company culture as the foundation for everything the company does. Twice a year, employees receive a culture assessment, an anonymous eighty-eight-question survey to gauge how they feel about the company. While at the average Fortune 500 company, only 35 percent of employees are 100 percent engaged and 100 percent satisfied. At Zeigler, the number is closer to 80 percent, thanks to the assessment that’s led to practices like providing notes team members can write to one another and a company Facebook page that keeps employees informed of what’s happening within the organization. Zeigler’s customer-relationship-management dashboard contains important statistics and information in real time for every dealership. It monitors the number of customers that have been to the dealership, incoming calls, appointments, cars sold, if paperwork has been completed, and response time to Internet queries. The system allows the executive team to see if a store is taking too long to get back to a customer. If so, the system will alert someone to contact the store and see what’s going on. From day one, new hires learn about what sets Zeigler Auto Group apart. Several training centers are equipped with high-definition video systems so new-hire orientation can take place at all the centers simultaneously. After orientation, new hires watch online training videos. Promising employees are put into performance groups and are trained on how to run dealerships. 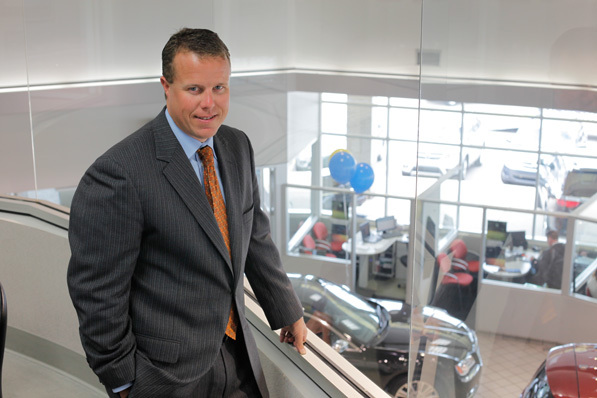 When Zeigler is ready to buy a new dealership, he already has someone trained to manage it.